The Council is working with business and the community on temporary projects that improve and activate public areas. 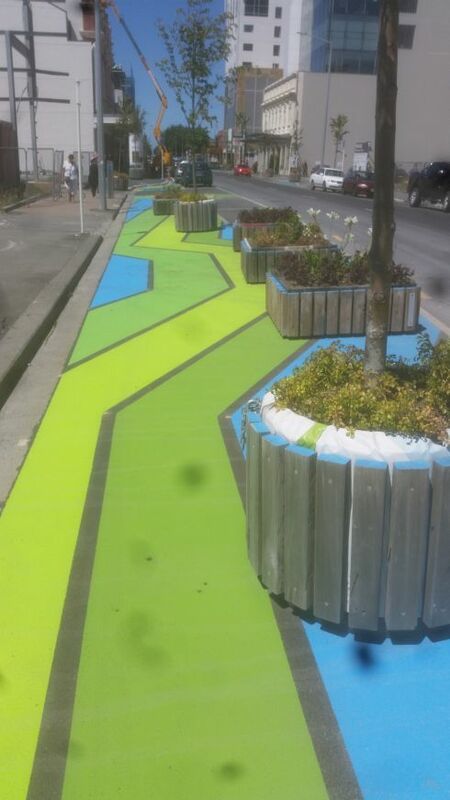 Pop-up parklets and transitional streetscapes add colour to the city, slow traffic and support wayfinding between recovering business areas. 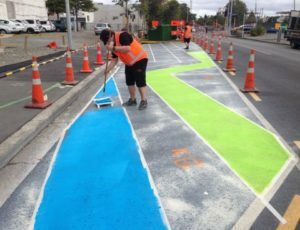 Empty and under-utilised spaces can be creatively and productively used while decisions about their long term use are made. 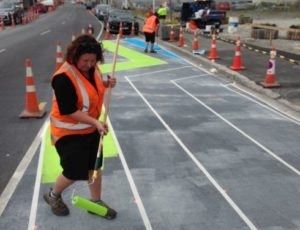 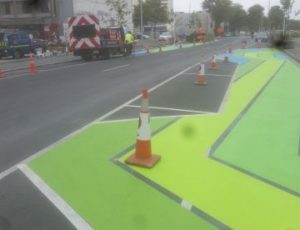 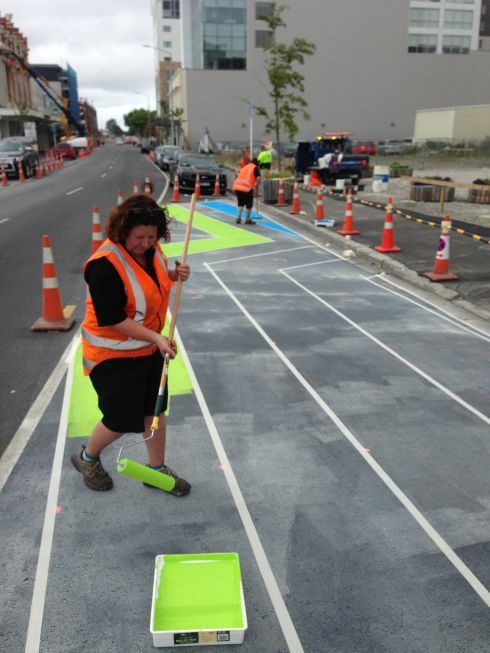 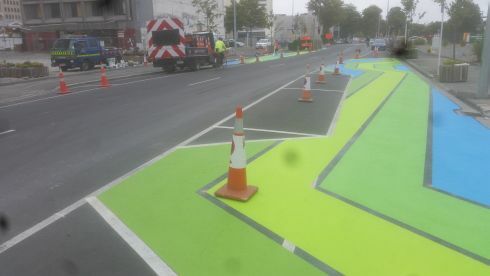 During 2013 Spray Marks Graphics undertook the first of the Christchurch streetscape projects. 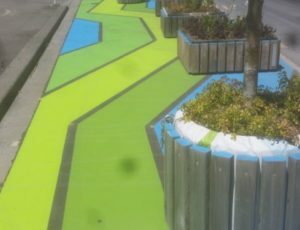 Beside the river on Oxford Terrace, at the end of the Restart Mall, ‘Eddie the Eel’ with his natural habitat appeared.